“I fled my homeland empty-handed, uncertain of my children’s future. 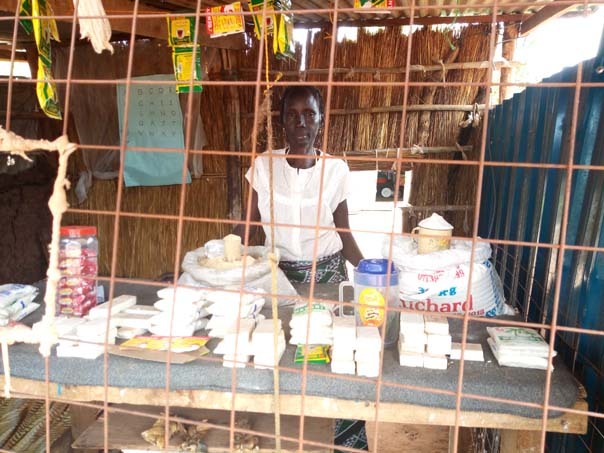 I never thought vegetable farming would allow me to start a business and provide for my family,” Anna Ogud tells us when we visit her home at the Gorom refugee settlement South Sudan. Anna left her native country Ethiopia in 2002, where she worked as a traditional birth attendant in her village in Gambella. Anna and her four children fled conflict and walked for 3 days before reaching Pochalla County (Boma State, South Sudan) and being transported to the Gorom Refugee Settlement situated approximately 25 kilometers from the capital city, Juba. 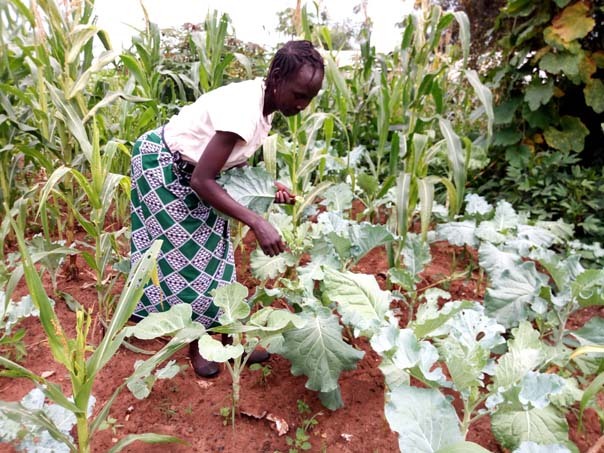 The 55-year-old widow is one of 200 refugee farmers who benefited from a training on modern agricultural practices conducted by Action Africa Help International (AAH-I). The project is implemented with funding support from UNHCR. Project participants also receive agricultural inputs in this livelihoods project. “The training we received from AAH-I on good agricultural practices was very beneficial. I learnt how to properly handle and dry my kale, okra and nyete (Black-eyed peas leaves) and transport it to the market to reduce post-harvest losses. I also learnt about spacing and weed management and increased my farm’s productivity. I earned USD $150 from my last 3-month harvest of the kale, okra and nyete (Black-eyed peas leaves) which I sold within the settlement. This amount is enough to provide for the basic needs of my family”. AAH-I South Sudan is implementing a livelihoods project that focuses on the improvement of the livelihoods and self-reliance of refugees at the Gorom refugee settlement. The refugees received maize, sorghum, groundnut and cow-pea seeds and farming tools in February 2018. AAH-I South Sudan will continue to support them throughout the post-harvest season that takes place between the months of October and November. According to data from UNHCR, there were at least 295,000 refugees in South Sudan as at April 2018. AAH-I is working in 8 out of the original 10 States of the country, running projects in primary health care services, education, water, hygiene & sanitation, capacity building programmes for peace and reintegration as well as food and income security in an aim to empower refugees like Anna, returnees and host communities.